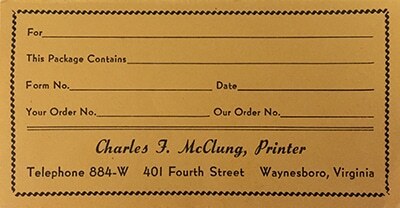 After returning home from World War II in 1946, Charles McClung, along with his wife Lucille, decided they wanted to open up a print shop in Waynesboro, Virginia. They decided that their printing shop should be called Charles F. McClung, Printer. It began as a one-room operation with Charles and Lucille being the only staff members. They bought their original equipment from a shop in Tennessee. About a year later they decided to hire their first employee. Woody Huffman, whose wife Maxine was a sister of Charles, began working at McClung on September 2, 1947. In the 1950s, McClung took its first steps towards developing into the company it is today by adding its first offset presses. Up until that time they had letterpress machines. It is said that McClung was the first print shop in the Valley to acquire that type of press. Charles McClung was very up-to-date on the newest technology for printing. McClung also bought its first camera at this time. Charles decided they needed more space and moved the company several blocks to its current location on Commerce Avenue. This move was the only move for the company in all its years of operation. 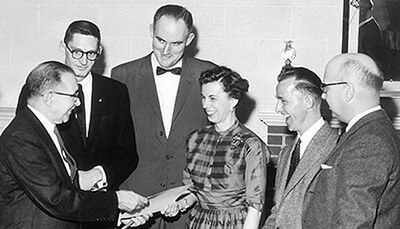 Three McClung employees were certified as Master Craftsmen on March 21, 1958. McClung was the first printing company in Virginia that had employees receive these coveted lifetime awards. McClung employees receive their PIA Certificates of Craftsmanship: Woody Huffman (third from left), Lucille McClung (third from right) and Charles Kenan (second from right). Charles McClung stands in the middle. Presenting the awards is E.O. Meyer of Richmond, executive secretary of the Virginia State Printers Association. John Bland, president of the State Printers Association, is on the far right. An original packing slip from when the company was still at its original Fourth Street location. A major addition was added to the north side of the building in 1970, more than doubling the building’s size. The downstairs was used for bindery and upstairs was storage (later it became the prepress department). Charles ran the business for 25 years and, after his death in 1971, his wife Lucille became the President and CEO. Besides leading McClung, Charles was involved in the community, serving as mayor of Waynesboro and President of the Printing Association of Virginia. In 1984 Tom Trevillian purchased the company and changed the name to McClung Printing, Inc. Tom would lead McClung into the substantial company it is today. McClung’s first network server was an IBM AS/400 and it ran the job management database. The challenge was getting useful reports out of it. With Tom as the new President and CEO of McClung Printing, there were about to be some new advances taking place. It all began with adding new services for McClung customers. In 1989 McClung purchased DesignWrite, a Waynesboro advertising agency. With them by their side, McClung was able to provide design services for its print customers. The purchase expanded the art and prepress department, bringing a full staff of designers, paste up artists, illustrators and writers. Since McClung was now offering more than just printing, Tom decided to change the name of the company to McClung Companies. It was prescient, since McClung would add several other services and companies over the succeeding years. In 1997 fulfillment services were introduced, allowing McClung to manage customer inventory. Orders could be shipped within 24 hours and accurate inventory records provided to the customer at any time. 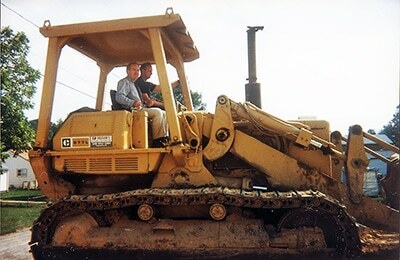 Tom Trevillian going for a ride on the bulldozer. McClung’s logo after the name was changed to McClung Companies. 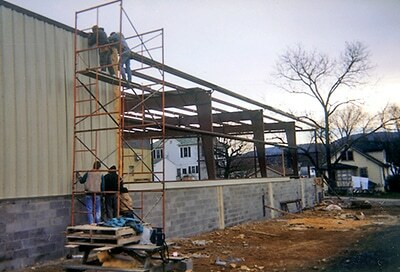 Building the new press room (now the bindery) in 1997. With McClung expanding its offerings, more space was needed. In 1997 a one-year, two-phase, expansion took place. Phase one was a shipping department and phase two a 10,000 square foot press room (which now houses the bindery). One of the most important new services to be added was mailing in 2004. McClung was now able to work with mailing lists, cleaning them for efficient, targeted delivery. McClung wasn’t only just expanding the size of the plant but also its presence around Virginia. 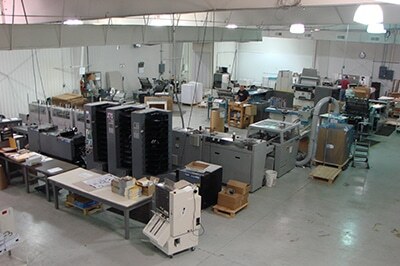 In 2004 McClung bought Color Graphics, a printer in Harrisonburg, and expanded its footprint in the Shenandoah Valley. Six employees joined McClung from Color Graphics and a six-color ManRoland press was acquired. Every quarter McClung has a meeting with its employees to talk about how things are going with the company. Tom Trevillian started these meetings when he bought the company. Awards are handed out and sometimes a meal is served. The Employee of the Quarter Award was established in 1992 and is based on recommendations from fellow workers. It recognizes McClung employees who display extraordinary dedication to their jobs. 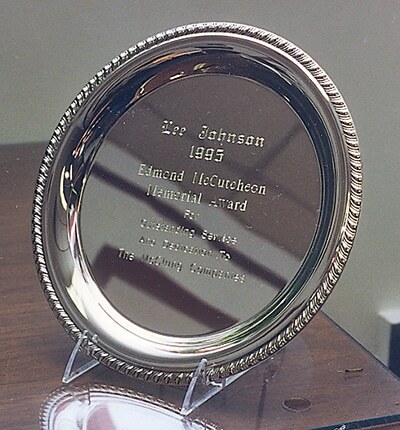 The Edmond McCutcheon Award was established in 1995 to honor the employee of the year. It memorializes the loyalty and dedication of its namesake to the company. For much of McClung Companies’ life on Commerce Ave. a second-hand store named Dirty Sam’s sat adjacent to it. It was abandoned for probably 15-20 years. The building caught fire twice under mysterious circumstances, but both times the fire department was able to put it out before any major damage was done. With a bit of a struggle McClung finally got its hands on Dirty Sam’s and tore it down in 1996-97. Soon after the process began, neighbors started complaining about rats. Because the building had been abandoned for so long, rats had overtaken it. 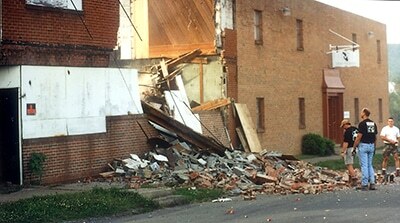 They started scattering when the building began to come down. One woman even came into McClung saying that McClung’s rats were in her pool! This became a joke at McClung. 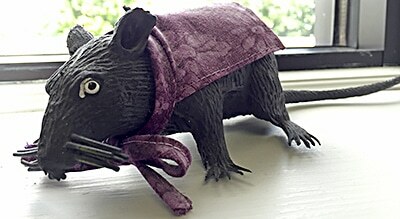 As a practical joke one year, Vice President Dave Perkins received a plastic rat as a gift. It wore a purple cape around its neck with the letters “MC” printed on the back. The rat still sits on the window sill in Dave’s office. Dirty Sam’s just before demolition. The rat on Dave’s window sill. 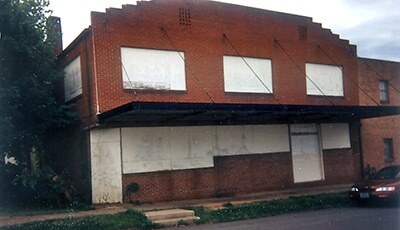 Word has it that back in the day when Dirty Sam’s was up in running and in good shape, Waynesboro Generals baseball players would stay above the store in a furnished apartment. Edmond McCutcheon worked at McClung for approximately 20 years before Tom Trevillian purchased the company in 1984. He was a pressman who later became the production manager. Edmond truly loved the printing business. When Tom bought the company, Edmond would come to him with ideas for the business. Tom listened and implemented some. “Edmond’s ideas really did make a difference to McClung,” Tom noted. Tom took Edmond with him when he went to buy the folding machines, presses and other equipment because, “he knew more about them than I did and was just very helpful in assisting me to pick out the machines we needed.” Tom viewed Edmond as his partner for helping to grow the business. The most significant thing that Edmond did at McClung was to start the quality control program. He read a book about it one night and came in the next day to Tom and told him the idea he had. Edmond knew exactly what they needed to do. Tragedy struck in 1995 when Edmond passed away. The company wanted to honor Edmond’s achievements and the impact that he made on the entire organization, and established the Edmond McCutcheon Award. This award memorializes the loyalty and dedication of its namesake to the company and is presented annually to the McClung Employee of the Year. Award recipients are chosen based on recommendations from co-workers. Framed sketch of Edmond that hangs on the wall near the front entrance. The first Edmond McCutcheon Employee of the Year Award went to Lee Johnson in 1995. A framed portrait sketch of Edmond hangs on the wall near the front entrance. The original phone number for McClung was 884-W. Today the company has an Internet-based phone system with over 30 extensions, advanced forwarding and voicemail options, and numerous smartphones. Woody Huffman, who holds record for the most years employed at McClung, was raised on a 150-acre farm in Mt. Crawford. He graduated from Bridgewater College in 1941 and married Maxine McClung the next year. They lived in Mt. Crawford and had two children. Woody served in the Navy during World War II. With few job opportunities in Mt. Crawford, Woody had to look in other places for employment. Maxine was the sister of Charles McClung, and when Charles was searching for another employee to join his growing printing business, she suggested her husband. Woody began working at McClung in 1947. However, there was one obstacle that needed to be overcome. With Mt. Crawford and Waynesboro being 32 miles apart, Woody certainly couldn’t walk to work every day and his family didn’t have a car for him to drive, so how was he to get to his new job? A bus came every morning to Mt. Crawford to take the folks to work in Waynesboro. Alongside Woody, there were other workers that were heading to DuPont and the other textile plants that were located in Waynesboro. 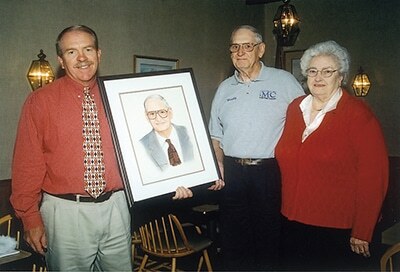 Tom Trevillian presents Woody and Maxine with his portrait when Woody retired for the first time in 1988. 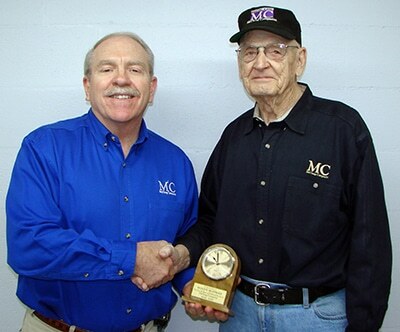 Tom Trevillian presents Woody with a clock in 2008 honoring his 60 years of service at McClung. Woody started as a pressman and did hand work such as stringing tags. In later years, he advanced to production manager and then vice president of operations. In 1971 when his brother-in-law Charles McClung died, Woody became plant manager. Woody recalled Charles being a very good man to work for. 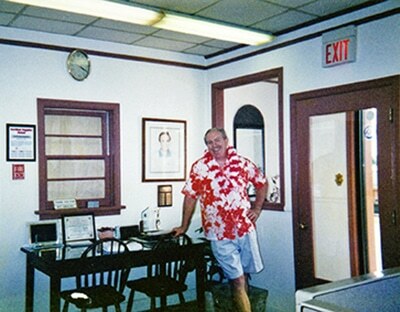 When Tom Trevillian bought the business in 1984, he asked Woody to stay and continue working for him, and Woody accepted. Woody felt lucky that Tom bought McClung and was glad the company found him as the buyer when it did. In 1988 Woody Huffman retired from McClung. 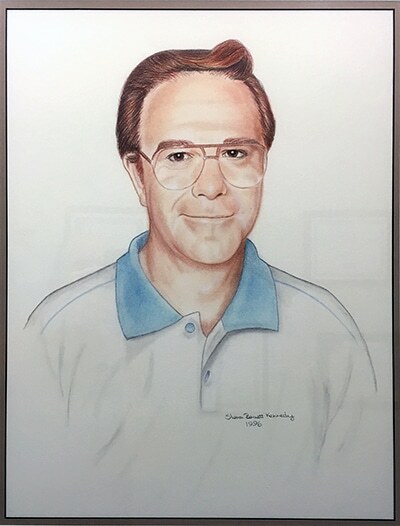 He was honored with a portrait of himself that hangs in the main hallway of McClung, right as one enters the building. Woody couldn’t stay away for long; he soon returned to McClung as a part-time employee in the delivery department. He said that he just needed something to keep him busy. Maxine died in 2001 and in 2005 Woody married Mazie Schwab. In 2012, when Woody retired from McClung the second time, he was honored with a luncheon. Woody worked at McClung for 65 years. At the time of this writing in 2015, he is 92 years old. He enjoys spending time with his grandchildren, fishing and gardening. A lot has changed at McClung from the time when Woody first started working there in 1947. The original letterpress that Woody operated could only print one color on a 8x10” or 12x18” sheet, while the offset presses today can print five colors on a 23x29” sheet. Type was originally set by hand or on a Linotype typesetting machine but now all type is set on computer and plates are imaged directly from the computer. For the first few decades there were no sales people and today there are seven. When McClung first started printing four-color process color, it was printed on a single-color press. Registration was a challenge since the paper had to be run through the press four times. Full color photos were sent to a separation house in Lynchburg to have film made. McClung Companies continued to expand in the 2000s, adding more services and production space. Expanding beyond traditional offset printing, McClung added online stores, marketing services and web design. In 2005 McClung began offering full-featured, customizable Web-to-Print Internet stores. The stores were integrated with the digital presses for quick turn-around, which enabled its customers to manage customized brochures, fulfillment inventory, and place orders securely anytime and on-demand. 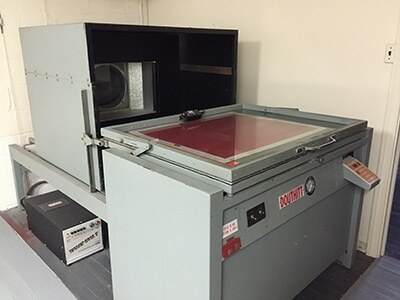 The Kodak NexPress 2100 digital press arrived at McClung in 2006. For the first time McClung was able to offer customers economical short-run color printing and variable data printing. The variable data printing allowed McClung customers to send a customized piece of mail to each person in their targeted audience. 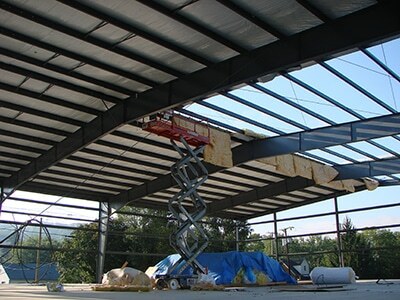 Once again McClung needed more room, and in 2007 the company built a new 10,000 sq. foot pressroom. It was named after long-time employee Woody Huffman, and was called the M.E. Huffman Building. The first press to be installed in the building was a new Heidelberg Speedmaster CD 74. It was a state-of-the-art five-color machine with a built-in aqueous coater. 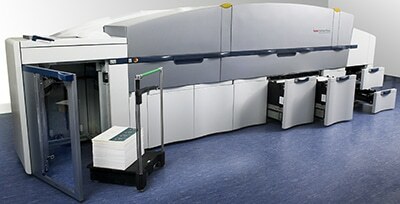 McClung also helped its customers by investing in an advanced color management system, the GMG color proofing software. This permitted evaluation of the color more frequently, giving McClung’s customers consistent proof matching. Remote proofing of jobs was added in 2011, allowing for streamlined proofing of jobs online. G7 certification was added in 2013, adding improved device-independent color management. 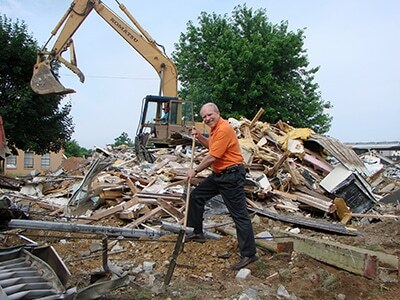 Tom helped a bit with the demolition of two houses to make way for the new pressroom. The new pressroom gets it roof. The new pressroom in full operation. The bindery moved into the old pressroom in 2009. The NexPress 2100 digital press arrived in 2006. In addition to physical expansion, McClung incorporated other businesses into its fold. 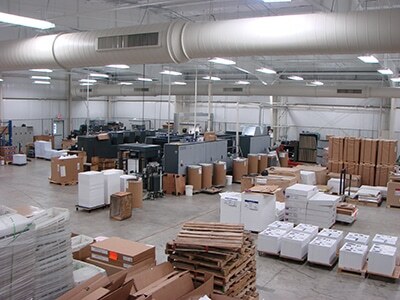 In 2009 McClung joined forces with Kaminer & Thomas, a Charlottesville printer. This allowed McClung to expand its presence to the Charlottesville area, including the University of Virginia. In 2010 Immerge Technologies, a web development company, joined the McClung family. Web design, e-commerce options, search engine optimization and social media strategies could now be integrated into its print offerings. One of the last remaining things that Tom did while President and CEO of McClung was to bring Select Group, a printer from Salem, Va., into the McClung family in late 2011. This expanded McClung’s presence to the southwest Virginia area. Larry Miles was President and CEO of McClung from 2013-2015. Tom continues to be involved at McClung, serving as Chairman of the Board. Tom served as President and CEO of McClung for 28 years. During Tom’s time McClung had substantial growth with several building projects, a fivefold expansion in staff, and a significant increase in sales. All this was done while valuing each customer and employee, and providing exceptional service and products. McClung Companies won the 2005 E. Worth Higgins, Jr. Award in recognition of its dedication to the welfare of its employees, clients, community and the printing profession. It was presented by the Printing Industry of Virginia. McClung has consistently won numerous awards in regional print competitions. McClung and United Way have had a long-lasting relationship. In fact, the earliest known date of a fundraising campaign taking place at McClung was in 1989. McClung still has campaigns that take place today. The campaigns are around six weeks long and take place in the fall. The employees, along with the company, average a $5,000 donation to the charity. Most years the campaigns are fairly low key, including a silent auction, raffle, and luncheons with homemade food by employees. Some years McClung raffles off a vacation day, which is always very popular. One of the more unusual campaigns brought in a manikin by the name of “Lady Luck” as a fundraiser. Employees had a “ball” with her and she was used for various pranks. One of the biggest pranksters was Charles McClung’s own son, Garland. His favorite was pranking longtime employee JoAnne Estes with the manikin. One of the pranks he pulled on her involved hanging “Lady Luck” up in a dark corner near the coffee machine. JoAnne has always come into work very early in the morning, and one day she had quite the scare when she reached for her cup of coffee! On November 3, 2008, there was a campaign that would out-do all the rest. Seated in McClung’s mail department an anxious audience waiting to see seven of the world’s most beautiful guys walk down the runway. Two McClung employees with “Lady Luck” in 1994: JoAnne Estes and Garland McClung. Contestants in the Male Beauty Contest in 2008. Mike Blevins (“Michelle”) was the winner (far left). 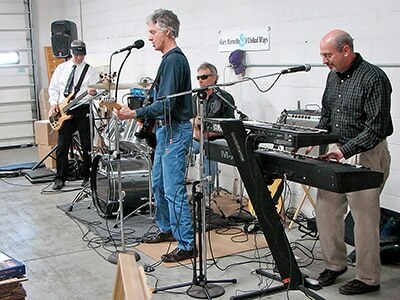 The McClung band “Gary Burnette & the United Ways” performed for employees in 2013. The band consisted of David Schroen (bass), Gary Burnette (guitar and vocals), Chuck Stuples (drums) and Craig Bennett (keyboard). On a couple different years a baby photo contest was held. Employees brought in pictures of themselves as babies and folks gave a dollar to try and guess which baby picture belonged to which employee. Whoever guessed the most right got a gift card. A cool feature about McClung is that they have their own in house band. In 2013 McClung hosted a United Way fundraiser lunch in their shipping department where McClung employees and other audience members rock n’ rolled to 70s rock music performed by “Gary Burnette and the United Ways.” The band also played at an annual United Way awards banquet that took place on May 15, 2014. United Way isn’t the only charity McClung supports or contributes too. Each year McClung’s goal is to give ten percent of its net profit to worthy causes. McClung strongly challenges all of its employees to help others out, whether it’s to United Way or other charities. One unique fundraiser wraps up the giving each year. Every Christmas McClung adopts a family in need. They raise money for the family and go Christmas shopping for them, buying gifts and food. The employees appreciate that they can make the family’s Christmas special and a connection is made between the family and McClung that lasts a lifetime. Immerge Technologies, McClung’s web division, does things to help out the community as well. In 2014 they were part of a race team to support VA Momentum, Big Brothers Big Sisters of America and the Sentara RMH Wellness Center. They also participated in the Valley Businesses Give Back food and fund drive to benefit the Blue Ridge Area Food Bank, in which they placed third in the small companies “pound per employee” category. McClung donated a former delivery van to United Way in 2012. 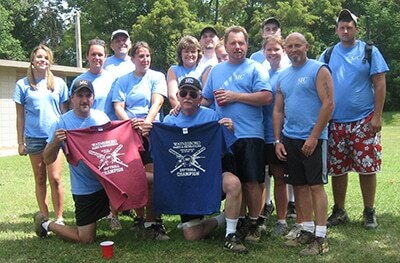 McClung Companies sponsored a softball team for several years starting in 2001 in the Waynesboro Parks and Rec League. After a few years of inactivity, the team was back on the field in 2005. In 2006 and 2007 the team took home back-to-back championships. In fact, the 2007 team went undefeated at 18-0. Because of their great success the league moved them up to a higher division in 2008. That was the last year McClung had a team, and let’s just say the results weren’t pretty. In all the years McClung had a team, Chip was the coach. 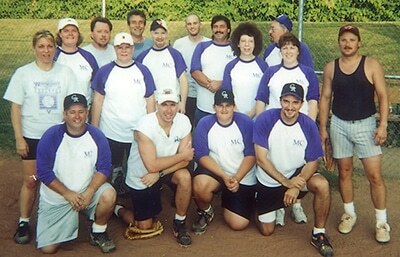 The 2001 team. Back: Becky Miller, Sheila Southall, Mike Blevins, Chrissy Steele, Richard Hummel, Rhett LeDuc, Matt Perkins, Chris Miller, Pat Knight, Roland Harris, Lisa Tyree, Allan Coffey. Front: Robert Henkel, Mark Wuerthele, Justin Henkel, Chip Bell. The 2007 championship team: Alyssa Hummel, Chip Bell, Megan League, Richard Hummel, Shelley Shiflett, Ellen Campbell, Larry Garrison, Matt Perkins, Angela Fitzgerald, Mike Blevins, Chuck Stuples, Julie Fisher, Steve DeLuca and Justin Henkel. Not pictured: Robert Henkel. The first computer came to McClung shortly after Tom Trevillian bought the company in 1984. Woody used it for estimating. Today, McClung has over 50 computers. When Pennie Miller was asked about the moments that stood out to her during her time at McClung, she had a few to share. The first one was the christening of the new pressroom that had been named after longtime employee Woody Huffman. “It was just so special to see this being done for him. He had reached such an accomplishment by working at McClung for over 60 years. Tom Trevillian welcomes folks at the front door to the Hawaiian-themed open house. For anyone that is huge,” she said. “It was just so touching.” McClung had thrown a party for the new pressroom, along with having a ribbon cutting. Woody had just retired and came back for the christening of the pressroom. Pennie has worked at McClung for about 20 years. She said it was hard coming up with memorable moments because so many had taken place at McClung. “It’s just such a special place to work for,” she added. In 2004 McClung was honored with the Business of the Year award from the Greater Augusta Commerce of Commerce. When Jeannie first came to McClung in 1995, she worked on a part-time basis in the shipping department as a wrapper. Through her hard work and dedication, it wasn’t long before she joined the company as a full-time employee. Throughout her career, Jeannie has touched almost all areas of work at McClung, while still staying close to the shipping area. In her last four years at McClung she moved into a new capacity and began doing hand work. This involved doing things machines are unable to do, such as collating and inserting items into envelopes. Jeannie knew all the Charles McClung family members but was especially close to Garland because of his time working at the company. 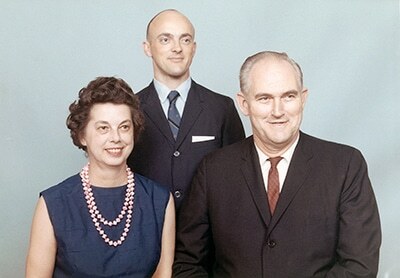 Her husband Edmond began working at McClung in about 1964 when he was only 20 years old. He worked for Charles McClung at the beginning and became an icon at the company, having worked there 31 years. After his passing in 1995, McClung recognized his impact by creating an employee recognition award in his honor. Edmond was the production manager at McClung and he always wanted to put the employees first. “He wanted the employees to feel like they could go to management and speak openly with them,” she added. Jeannie worked at McClung for 20 years and retired on June 18, 2015. Jeannie will be missed by all at McClung. McClung has two delivery vans and one truck, making deliveries from Roanoke to Richmond to DC and WV. JoAnne Estes has worked at McClung over 35 years. Her favorite memory, without question, was when McClung hosted a Male Beauty Contest for a United Way campaign. 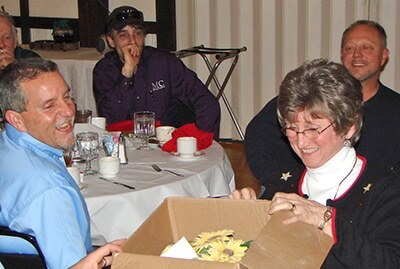 JoAnne also enjoys the company’s annual Christmas luncheon held every year at the Waynesboro Country Club. The entrants in the 2008 Male Beauty Contest: Michelle (Mike Blevins), Tomica (Tom Trevillian), Joanna (John Britt), Christina (Chris Pugh), Karla (Karl Kuelz), Daphne (David Schroen), and Roberta (Robert Henkel). McClung adopts a family in need every Christmas season and JoAnne does her best to keep up with that family and give updates at the Christmas luncheon. Even though Woody Huffman has been McClung’s longest-working employee, there are other employees who have also dedicated some stretch of time to McClung Companies. Robert Vincent worked at McClung for 29 years, starting in October 1986. He started off working in the darkroom and then moved to the office. When he first began at McClung, it was much smaller than the building you see today. There were only 15 employees as well, quite a bit less than the 50 today. The vacuum frame used to burn plates and bluelines. A strong metal halide lamp was in the back of the unit to provide the light source. Notice the bolts near the top—the top had to be cut off in order for the machine to be brought into its second floor location at McClung. Robert has witnessed many changes to McClung in his time here. McClung has grown, both in size and the volume of business. McClung gained more customers throughout the years and more equipment, but in Robert’s eye the most significant thing that has grown the business is computers. Before all of the state-of-the-art equipment came to McClung, there were many steps that went into preparing artwork in the prepress department. Text was typed on a Varityper typesetting machine and imaged onto photo paper. After it was developed and dry the text was cut up and pasted on artboards along with other line art. The artboards were taken to the camera and shot onto film. Grayscale photographs were sized and shot on the camera. If there were full-color photos, they were sent to an outside vendor to color separate. In the stripping department the halftones and line art were stripped together. Screen tints were added as separate overlays. From this a blueline was made, and once approved, the film was burned onto a plate for the press. At first plates were developed by hand in the sink. Soon McClung got a plate processor, which greatly automated the process. When McClung got its first Macintosh computers they were used for typesetting. They could print directly to an imagesetter and would output full sheets of film, ready to be stripped up for plating. Halftone and color separations were still stripped in for a little while longer, until McClung got a scanner for halftones and the capability to handle digital color separations. Robert retired from McClung on October 30, 2015. JoAnne began working in the bindery, where she still works today. However, Woody had her trained on other machines during his time in charge. She was trained on the cutter and folder. JoAnne is McClung’s longest working employee today. She has been here for many years and seen many changes throughout the company. One can see the love she has for her work and McClung on her face. JoAnne not only works hard at her job but also in making everyone feel special at McClung. She has put together multiply parties throughout her time, whether it be for a birthday or someone retiring. She is always right there to make sure everyone knows someone cares about them.